Solicitors Regulation Authority (SRA): Want to know more about the new Solicitors Qualifying Examination? 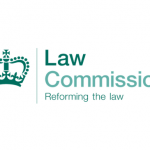 Home Uncategorized Solicitors Regulation Authority (SRA): Want to know more about the new Solicitors Qualifying Examination? Following a competitive and rigorous, year-long process, the SRA have appointed Kaplan as its assessment organisation to develop and run the Solicitors Qualifying Examination (SQE). · get information about the piloting and testing of the SQE. To book your place at one of the sessions, please click on the relevant session below. Due to nature of these events, the SRA can only offer one place per firm across all the sessions, with places allocated on a first-come, first-served basis.